Time for another 31 themed activity! I recruited my lovely friends Ria and Domi to watch me try 31 flavors at Baskin-Robbins. Don’t lie, you’ve always wanted to do it! 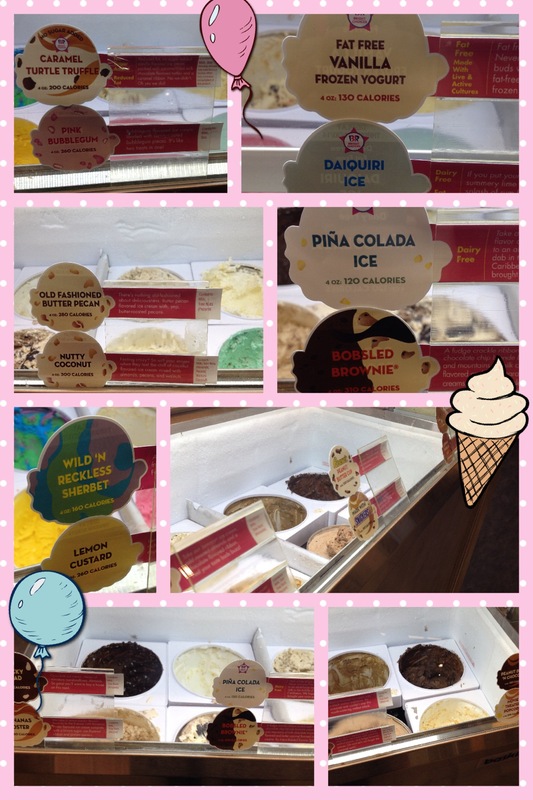 – Most Baskin-Robbins have more than 31 flavors. The one we went to had 42. – They said their most popular flavor is Mint Chip. – Baskin-Robbins has more than 7,000 locations in nearly 50 countries outside the US, including Azerbaijan, Bahrain, Bangladesh, Curacao, Kazakhstan, Kuwait, Latvia, Lebanon, Malaysia, and Yemen (i.e. places you just wouldn’t expect to find a BR). – The young man scooping my tasting spoons and helping me count off flavors, said that he’s seen many people come in who want to taste all the flavors, and they welcome it. Lessons learned: Don’t do this on a full stomach. Those are small spoons but they can pack a lot of ice cream. Do keep your testing spoons. Sure, maybe it’s wasteful, but my cup of tiny pink spoons feels like a trophy.